In this blog we visit past projects to show you how diverse and individual patios, paths and decking can be. 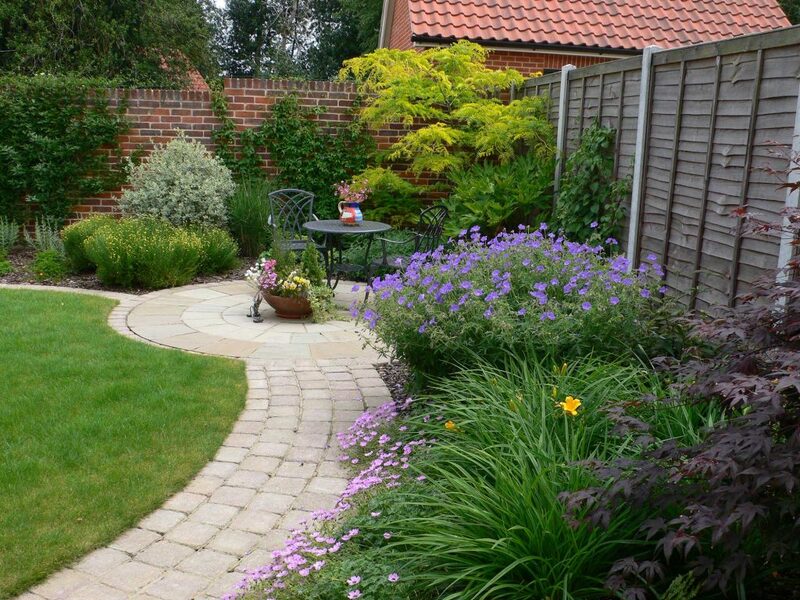 What makes a landscaped garden good? At Holland Landscapes we think part of the secret lies in the hard landscaping. Hard landscaping describes the strong, permanent features that guide you around the garden and define the different spaces within it. In other words, patios, paths, and decking. There are a myriad of choices for paving slabs, stone setts, decking boards and bricks to use in hard landscaping projects. 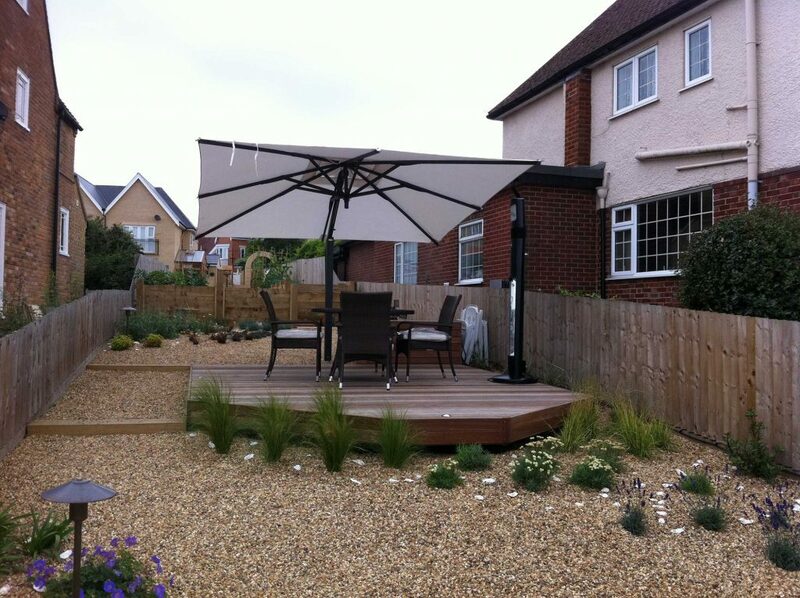 Here are just a few of the hard landscaping projects completed in and around Essex and Suffolk by Holland Landscapes. This client asked for two patio areas. One near the house and a second at the end of the garden to catch the late afternoon sun. Curves are the order of the day for this client. They like soft lines in the planting and wanted a meandering path to connect to the circular stone patio. Stone setts which exactly match the colour of the circular patio make an interesting contrast in texture and lend a “country garden” feel to the design. Not all stone is stone coloured or dull. 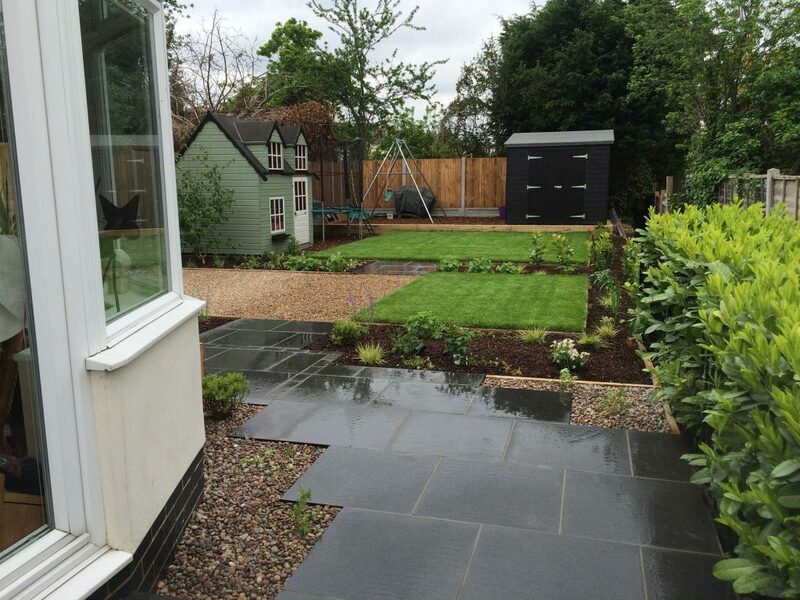 These black basalt pavers lend a contemporary feel to this small back garden in southend. Shape matters. Rather than sticking with the standard rectangular patio, we have created an interesting profile with planting pockets to allow plants to trail over and soften the patio edges. The contrast between black pavers and vibrant green foliage is amazing and brightens up the dullest of days. Slopes can be managed by building patios and terraces on different levels and having steps between them. Using different materials for the risers and installing lighting makes the steps easier to see. 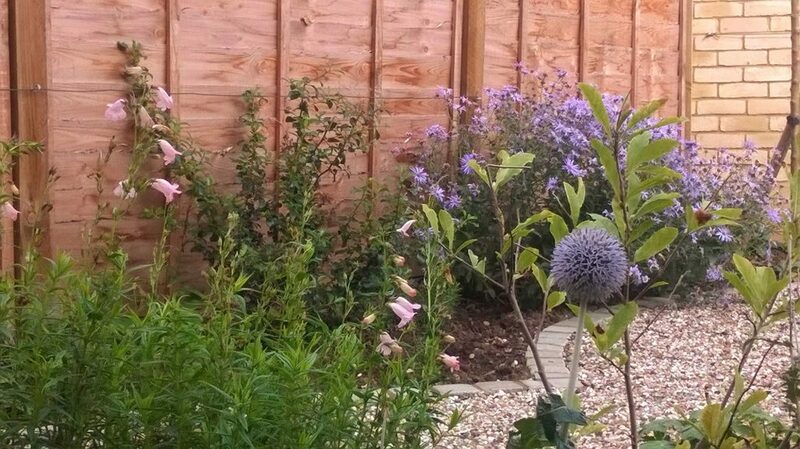 The planting in a cottage style garden can easily become overwhelming and confusing. It needs a little something to break it up . Hard landscaping defines paths and seating areas and brings the visitor right in amongst the plants. 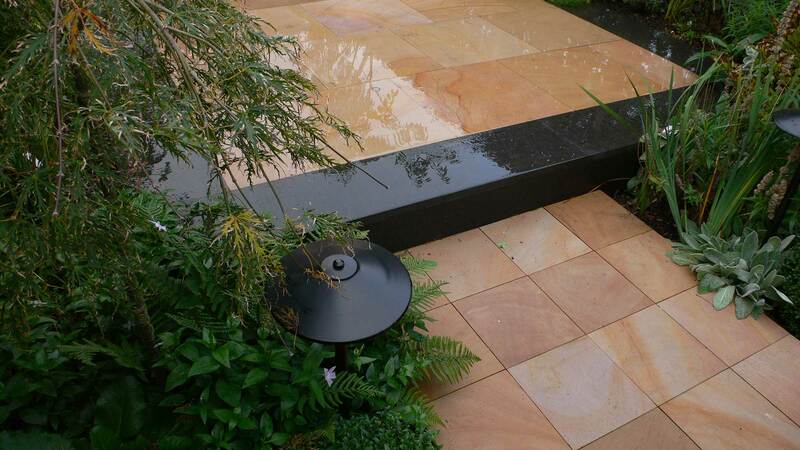 I particularly like the way that paving slabs, bricks and gravel have been combined in this garden design. The choice of materials makes the garden appear timelessly mature. As if it has always been there. I can even imagine an Edwardian lady sipping tea on the patio. Who says a path has to be all the same material for the whole of its length? This tiny front garden in Colchester is made more interesting by the angle, pattern and combination of materials used to create in the path. In my opinion, the plants take second place to the path in this project. Probably not the sort of thing a landscape gardener should be saying – but there you go. This homeowner wanted lots of plants but couldn’t justify the cost of a lawnmower to manage a tiny lawn. So instead of lawns, we built paths. Being able to access every part of every flower bed from the path makes for easy maintenace. Plus the view from an upstairs window in fabulous. 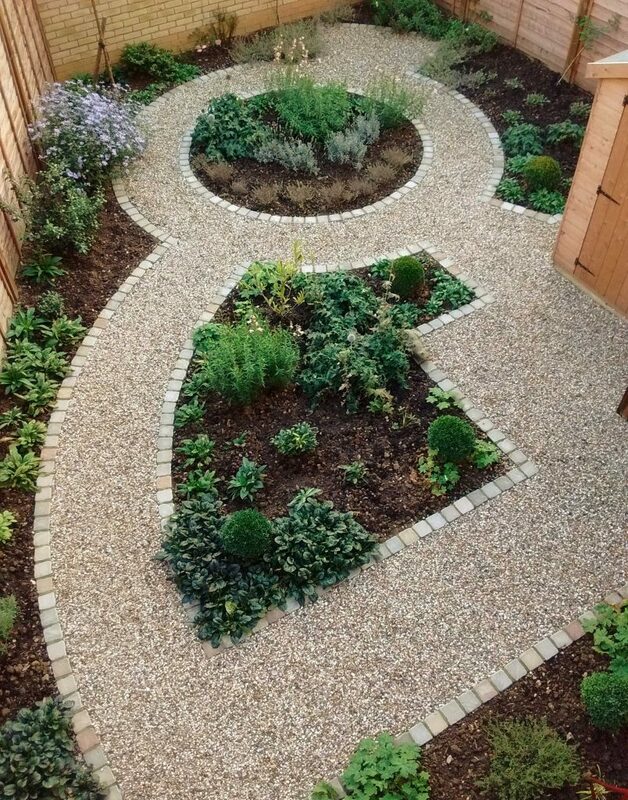 A traditional knot garden with small flower beds divided into a pattern was the inspiration for this garden design. 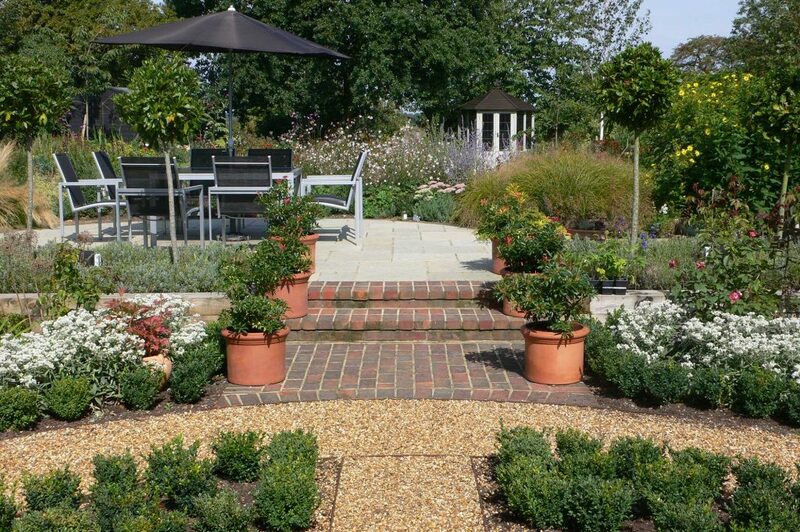 However, a traditional knot garden uses box hedging which can be tricky to maintain. 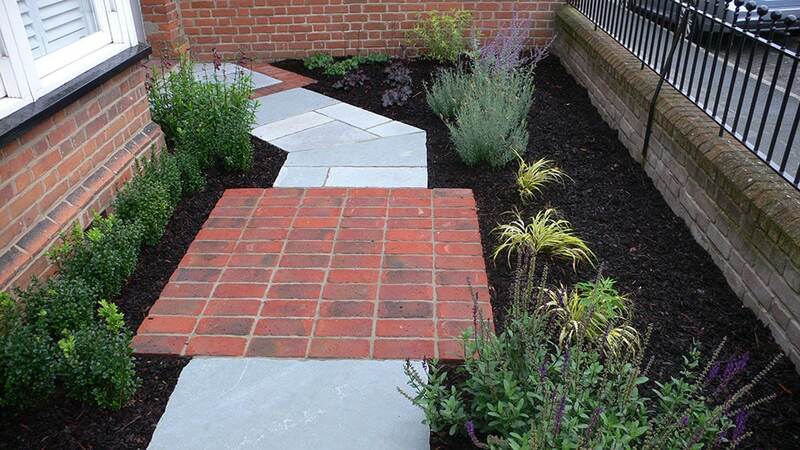 To save space, avoid box-blight and minimise maintenance, we opted for a brick edging to the gravel path. 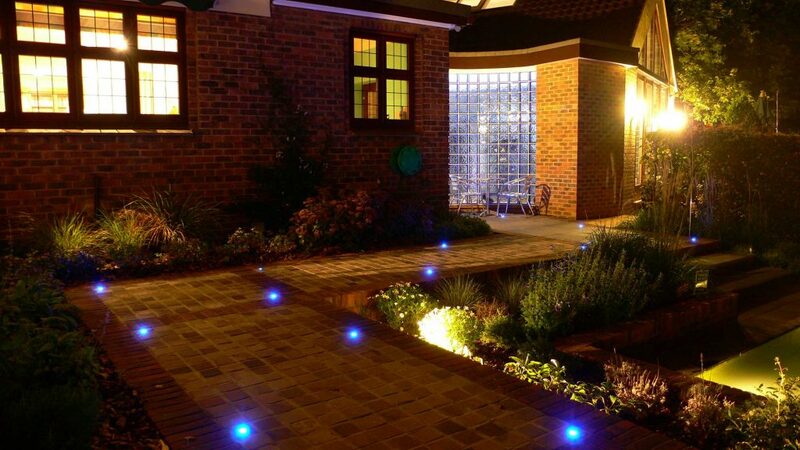 Lighting can be built into patios and paths to create ambience and to help prevent accidents. 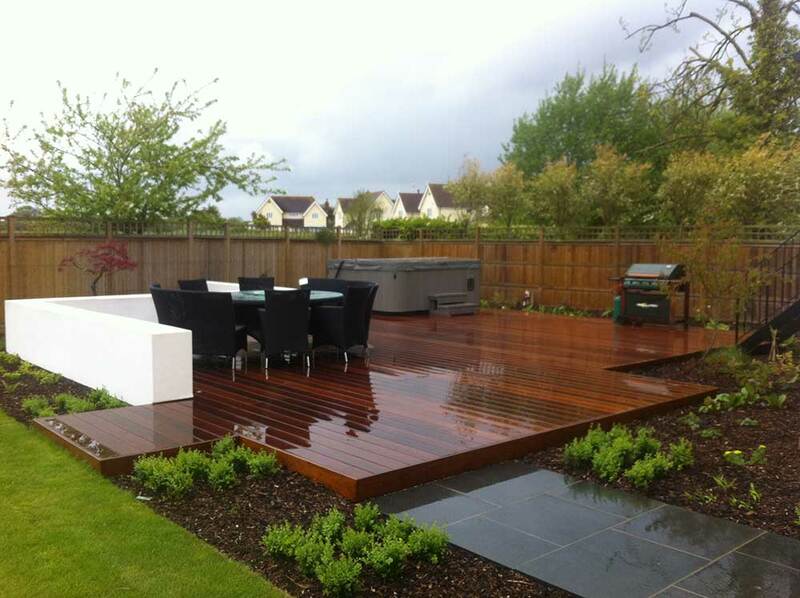 This stunning hardwood deck provides the perfect entertainment area for this family garden in Tiptree, Essex. There’s room for a barbeque, hot tub and seating area and it has a clear view of the lawn/play area. 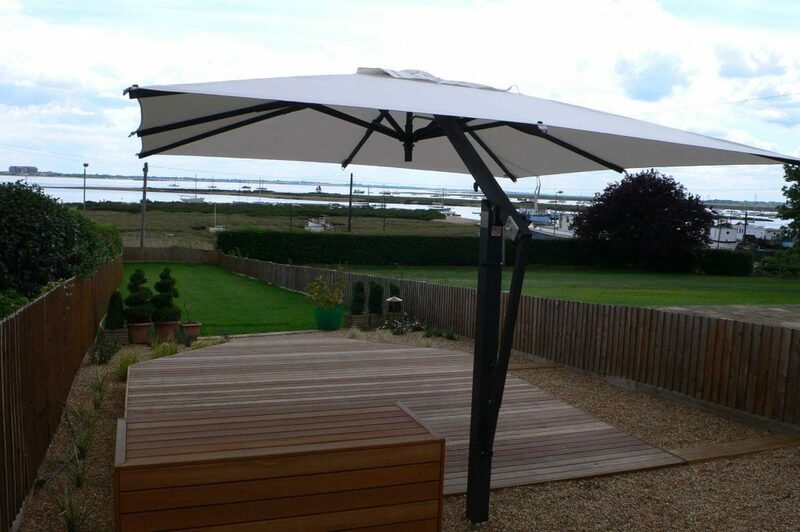 This very big garden in West Mersea has been divided into smaller outdoor rooms. One of which is a seaside themed area which reflects the Island’s harbour and beaches. A large shady canopy for daytime and discreet lighting for the evening makes this deck the ideal place to enjoy the stunning sea views. Decking is available in a variety of different colours and textures. Hardwood decking is probably what comes to mind when you picture a decked seating area or a wooden walkway. However, composite decking made from a mix of resin and woodchips is available in many different finishes from very light grey, through various natural wood shades, to a dark charcoal, almost black colour. If you fancy something a bit different, why not get in touch with us to see what’s available and find out how it would cost to build patios paths and decking that exactly match your taste. 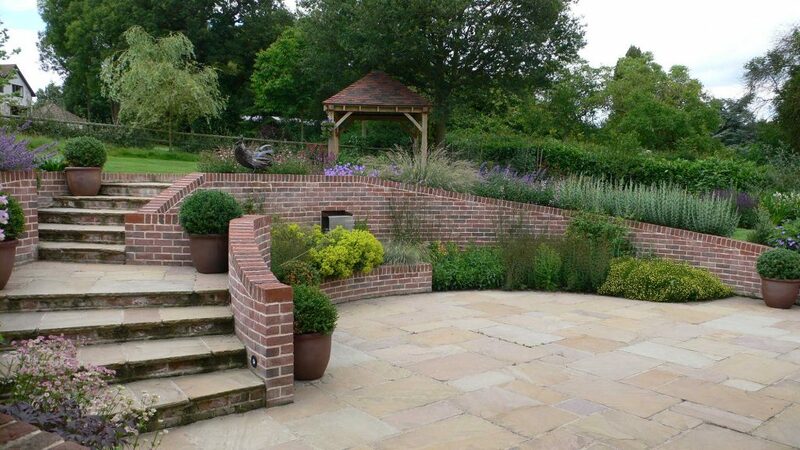 For more landscaping inspiration why not visit our portfolio of projects?